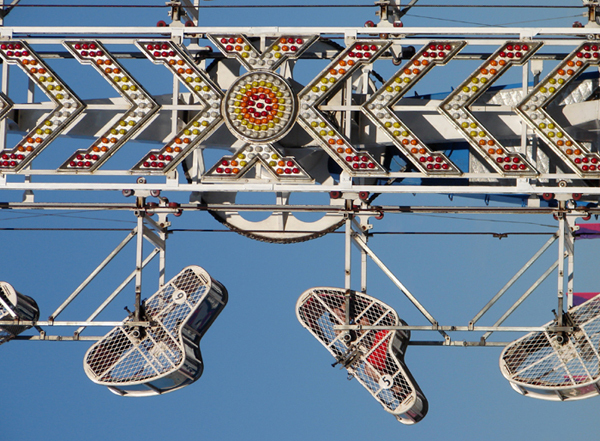 A ride at The Western Fair – The Zipper – turned sideways for a more graphic effect. When younger, I loved going on this ride and spinning those cages… now, not so much. Yikes! I can only imagine what the rest of the contraption is like! Oh, the horror. Torture chambers, no doubt! thanks – ha ha that would be an interesting look. I think the lights look like a beaded design. took several close ups of just that part of the ride.